Carando has enjoyed a long and productive history starting in the early 20th Century. The origin of the name “Carando” goes back to 1909 when “Joe Carando” started a small machine shop in Stockton, California. The company was named “Carando Machine Works”. 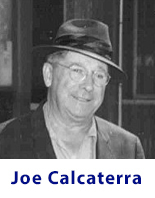 In 1924, Joe Carando sold the company to a loyal employee, Mr. Joseph Calcaterra. “Papa Joe” as he was known, took the company to the next level, branching out from the standard job shop to become one of the premier machinery manufacturing entities in the United States. Machinery manufacturing began when the company increased production capabilities to undertake the manufacturing of Tank Forming Equipment for the Water Heater Industry. Next came the State-of-the-Art, high speed, Steel Drum and Pail Container Welding and Forming equipment, including sheet feeding, container forming, seaming, testing and expanding equipment. Supplying International and Domestic Steel Container Manufacturers throughout the World. The company expanded into the Domestic Appliance Industry, and currently supplies industry leaders such as Whirlpool and Electrolux Corporations with production lines for welding, forming and seaming washer baskets and dryer drums. "CARANDO TECHNOLOGIES, INC." is dedicated to our founding fathers principles - Manufacturing production equipment that is; Innovative - Dependable - Repeatedly provides quality products that our Customers have grown to expect and that Carando's name has been synonymous with for over 105 years! 345 N. Harrison St., Stockton, CA 95203 Phone: (209) 948-6500 • Fax: (209) 948-6757 © 2014 Carando Technologies, Inc.